This exercise requires players to perform repeated bouts of maximal sprints (in the case of the wide players, 20 metres, and in the case of the forward players, 10 metres. If sufficient rest is given to players between each repetition (about 30 seconds between each sprint) then all of the sprints will be performed at maximum speed. Of course, there is a lot of specificity and relevance to the sport in this exercise, because players are performing the exact type of running and movements they are required to do in an actual match. 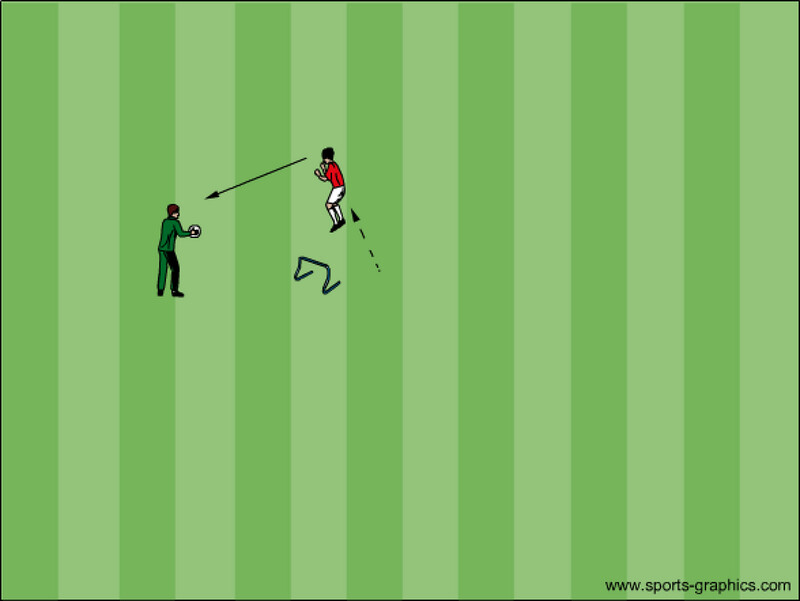 This very simple exercise requires players to perform repeated bouts of maximal intensity jumps, in a soccer-specific way that includes the ball. Like with speed training, power or jump training must give players sufficient rest in between repetitions. In this case, about 5-6 seconds of rest between each jump is enough. One player can do 5-10 headers, before switching to become a server. 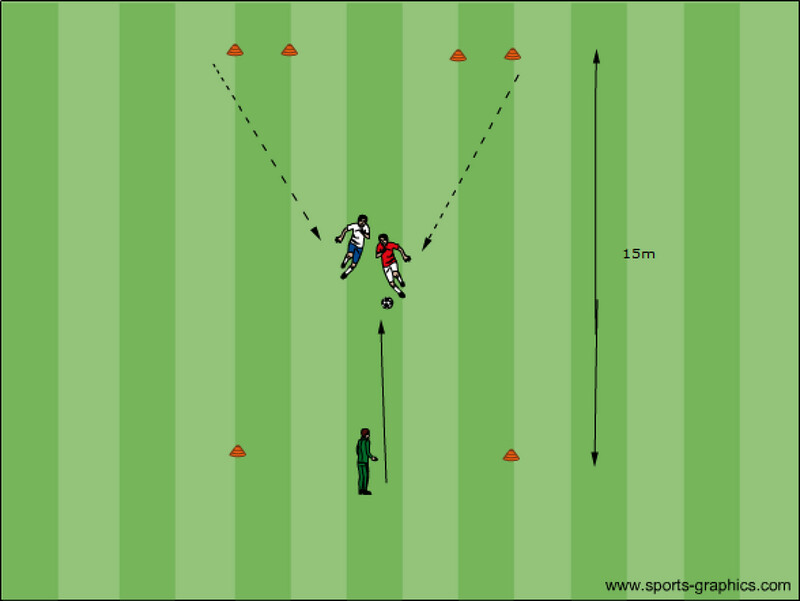 3 sets for each player as both server and header work well to develop power without over-using the muscles. While it may seem a bit unconventional to think of 1 versus 1 training as “strength training”, a closer look at the movements and intensities involved in this exercise presents a clearer picture for the rationale for its use to improve soccer-specific muscular strength. Performing a short sprint to a ball requires maximal acceleration immediately followed by a quick and powerful deceleration – to slow down, either to secure and protect the ball (if the player arrives first) or to defend and prevent forward play (if the player arrives second). These decelerations require very high eccentric strength in all of the major leg muscles, including the glutes, hamstrings, and quadriceps. When performed repeatedly over the course of multiple repetitions, high speed eccentric contractions will help to strengthen these lower body muscles and prepare them for the exact movements needed in match play. Once again, rest periods between repetitions are critical for this exercise, in order to allow for enough recovery for all players involved. Most of the plays in this exercise should last between 5-10 seconds, so 1-2 minutes of rest between each repetition is sufficient. Players can perform between 8-12 repetitions of this exercise. 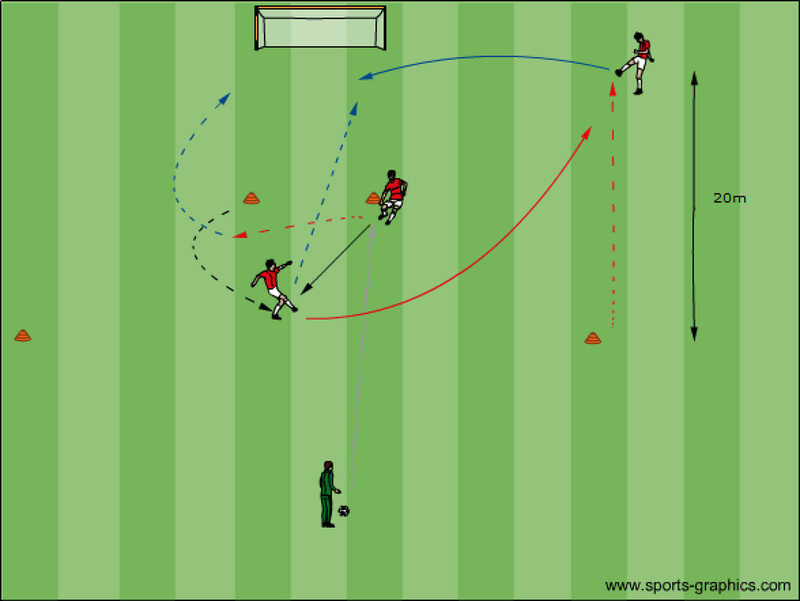 This exercise, as well as other variations of small-sided soccer games, represents the best and most effective way to develop soccer-specific endurance. Small-sided games are effective at improving endurance as long as they are played at a high intensity. Coaches can ensure that the intensity is high by following the recommendations mentioned above. Prevent breaks in play by playing a new ball in immediately after a ball in played out. If the pace of the game starts to slow down, add a condition like minimizing touches to help speed it up. A simple protocol to work with is to play for 4 repetitions of 4 minute games, with a 3 minute rest period between each game. The exercises described in this article represent just a few ways to incorporate the principle of specificity into soccer fitness training. Coaches and fitness coaches working with soccer players must strive to plan fitness exercises and training sessions that are as specific and relevant to the sport as possible, as this is the only way to ensure that improvements made during training will translate into improvements in match play.